Well-written, thought-provoking, and often deeply perceptive, the late Sri Lankan scholar David J. Kalupahana’s Ethics in Early Buddhism is a concise introduction to the subject of Buddhist ethics in early Buddhism, based primarily on the Pāli textual sources thought to be historically earliest. It aims to provide a philosophical investigation, focused on history and epistemology, into the underlying principles of Buddhist ethics, as well as its relationship to other forms of Indian and Western ethical thought. Kalupahana’s core ethical analysis is centered on dependent arising (paṭiccasamuppāda) as a guiding reference point. His main thesis is that (Early) Buddhist ethics are non-absolutist, non-essentialist, non-universalist, particularist, empirical and pragmatic, describing Buddhist ethics as a kind of moral pragmatism, which he likens to some forms of Western pragmatism such as that of American religious philosopher William James (1842-1910) and his ‘radical empiricism’. He argues against deontological and utilitarian interpretations of Buddhist ethics, while admitting to teleology, though not an absolutist nor especially Aristotelian or ‘virtue-based’ one. Discussions of sociology, economics, politics and the environment are included in his discourse, and copious relevant linguistic background information in the form of Pāli and Sanskrit etymology and terminology are provided throughout. The book is divided into three sections: 1. Historical Background and Problems (Chapters 1-5), 2. The Moral Life, the Principle, and Justification (Chapters 6-11), and 3. Applications of the Principle (Chapters 12-17). In Chapter 1, Pre-Buddhist Indian Moral Theories and Their Ultimate Developments, Kalupahana discusses deontological, utilitarian, and amoral ethical systems in the context of ancient Indian thought such as Brahmanical, later Hindu and Jain, including texts such as Kautilya’s Arthaśāstra, the Vedas, Bhagavad-gītā and Upaniṣads, as well as the ‘sacred-secular dichotomy’, which he later concludes Buddhism lacks. In Chapter 2, Knowledge, Kalupahana analyzes the Buddha’s approach to logic and epistemology, in particular its empiricism, and how these relate to Buddhist ethical thought; the Buddha’s epistemological method rejects deductive, a prior reasoning, knowledge based on theoretical justification independent from experience, in favor of inductive, a posteriori reasoning, that which expresses an experiential fact unknowable by ‘pure reason’ alone. In Chapter 3, The Fact-Value Distinction, Kalupahana stresses the importance of distinguishing between ‘fact’ and ‘value’ and the ‘Is-Ought problem’ in ethical discourse, both of which he determines to be non-absolutist, contingent, empirical and pragmatic in Buddhist thought. In Chapter 4, The World and the Will, Kalupahana evaluates the place of the ‘will’ in Buddhist ethics, and the function and relationship of ‘disposition’ (or conditioning formations, saṅkhāra) and ‘volition’ (or intention, cetanā). In Chapter 5, Individual and Society, Kalupahana deals with how language and self-interest inform societal conceptions. In Chapter 6, The Noble Life (Brahmacariya), Kalupahana studies virtues, the Eightfold Path (aṭṭhaṅgiko-maggo) and the effects of ‘views’ on moral experience. 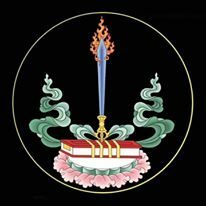 In Chapter 7, Virtues: The Beginning of the Way, Kalupahana explains how virtues are the foundation of the Buddhist moral life, but not its ultimate goal of freedom. In Chapter 8, The Eightfold Path: The Middle of the Way, Kalupahana investigates how the Eightfold Path can be seen as the ethical practice and outcome of the Middle Way (majjhimāpaṭipadā) and Right View (sammādiṭṭhi). In Chapter 9, Freedom: The Conclusion of the Way, Kalupahana addresses the end-goal of the moral life, Nibbāna or spiritual liberation. In Chapter 10, The Status of the Moral Principle, Kalupahana treats the non-absolutist and conditional nature of conditioned arising as the basis for Buddhist ethics. In Chapter 11, Justification of the Moral Life, Kalupahana covers the consequences of actions, karma, rebirth and responsibility. In Chapter 12, Society and Morals, Kalupahana handles duty, mutual responsibility and social expectations. In Chapter 13, Economics and Morals, Kalupahana broaches sources for Buddhist economics such as the theory of the ‘wheel turning king’ (cakkavattin). In Chapter 14, Politics and Morals, Kalupahana briefly introduces two forms of government common during the Buddha’s time, monarchy and republicanism. In Chapter 15, Law, Justice and Morals, Kalupahana probes laws and justice in light of the Saṅgha or monastic community. In Chapter 16, Nature and Morals, Kalupahana relates thoughts on the moral necessity of environmental protection for Buddhist ethics. In Chapter 17, Conclusion: The Stream and the Lotus Pond, Kalupahana ends on a poetic note, explaining how the two symbols of ‘the stream’ (as in ‘going against the stream’, that is, of conditioned existence) and the lotus (as in ‘like a lotus arising from mud’) serve as apt metaphors for the Buddhist ethical vision. Given the brevity of the volume at 146 pages (not including notes and short glossary), many of the intriguing and sometimes ground-breaking implications of Kalupahana’s arguments are not examined extensively, and may leave more questions than answers – almost like an Early Buddhist ethical kōan. But perhaps this was partly his intent: to stir the waters. Throughout the book, Kalupahana is critical of many Western interpretations of Buddhism and its ethics, and seems to be actively countering modern attempts at ‘ethical absolutization’ of Buddhism, serving a refreshing challenge to certain popular hermeneutic status quos and presumptions. Although these critiques and suggestions were probably much more relevant at the time of the book’s publication in 1995, they still hold considerable value at the time of this writing, twenty years later in 2015. It is notable, then, that Damien Keown, apparently missing many of Kalupahana’s points in this regard, gave this book a negative review in April 1997, which, though partially justified, almost looks like cognitive dissonance of aversion unable to handle the challenge presented to his views. Earlier in July 1996, Peter Harvey gave a far more nuanced, balanced and subtle review, which also works as a fair summary of the book, yet is also critical. These criticisms are often deserved (though some seem like nitpicking someone with whom one doesn’t agree or fully understand), but they do not take away from the overall high quality of the book. It is lamentable that the now-deceased Kalupahana did not write more on Buddhist ethics, especially considering his fluency in both traditional Buddhism and Western philosophy, which often developed interesting ideas, readily apparent in this book. Despite some of Kalupahana’s controversial conclusions, occasionally questionable doctrinal assertions and frequent lack of expository elaboration, Ethics in Early Buddhism makes for a surprisingly engaging and enjoyable read, due to its reliance on source texts and scriptural quotations, solid dissection of ethical ramifications, astute historical observations, inventive Western philosophical comparisons, and penetrating philological insightfulness in its instructive Pāli and Sanskrit parenthetical notes. It is well worth reading for anyone with an interest in Buddhist ethics, especially those wishing for a decidedly unique perspective.